RENOVATION OPPORTUNITY! Lowest Priced 2 Bedroom 2 Full Bath In The Building. Split Floor Plan With Private Balcony. Bamboo Floors In Living Room. Views of Atlantic Ocean, South Beach & South Pointe Park. Easy To Show! Most desirable Line in the Building. Rare to find. Major Price Reduction. Truly Million Dollar Views for under $1 Million. Water Views from the Master Bedroom, Water Views from the Kitchen, Water Views from the Living Room. Beautiful Sunset views from every corner of this extra large & brand new unit. The unit just finished major upgrade and it is in Brand New conditions. Brand New Kitchen, Brand New Walls, Brand New Lights, Brand New New doors and Brand New Floor to Ceiling Hurricane Proof windows throughout the entire unit. Sofa at the Living becomes a comfortable bed for your guest. The unit also has a guest bathroom. The Cruise Lines passing by during the weekends right in front of your Living Room during the Sunset makes everything look even more special. Beautifully renovated 2 bedroom 2 bath split floor plan unit features rare extended balcony. Balcony runs the entire length of the apartment, is accessible from every room and is private on each end from your neighbors. Completely renovated kitchen and bathrooms with white quartz countertops and custom cabinetry. Impact windows with electric blinds in the unit. Gorgeous views of Govt Cut, Fisher Island & Downtown Miami. Easy to show. Beautiful unit located at the prestigious South Pointe Towers!! 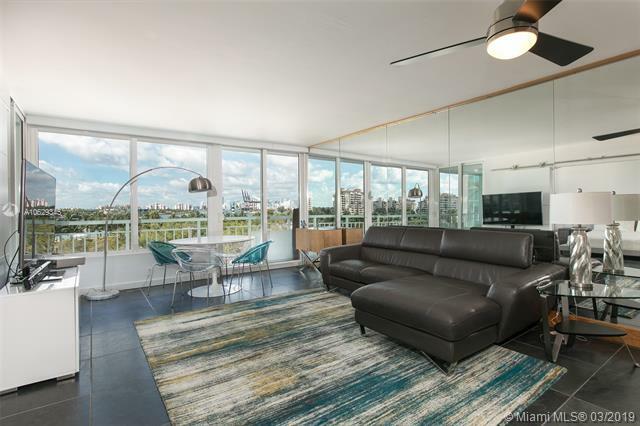 This highly desirable, completely remodeled condominium is the only one of its kind currently listed for the sale in the building. 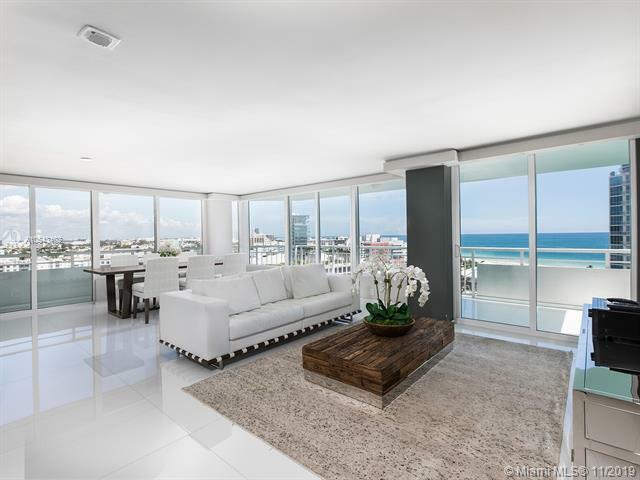 This spacious 2 bedroom 2 full bath unit boasts some of the most spectacular views of the ocean and Miami Beach. One of the best in the building and being sold furnished including audio. A must see!! Come and enjoy the south of 5th. life-style from this 1 Bdrm / 2 Bthrm unit with direct unobstructed water views of government cut, Fisher Island, the Ocean, Key Biscayne & the Miami skyline. Second Bedroom was removed turning it into a huge One Bedroom with 2 full Bathrooms. Offered fully furnished. Impecable building with 2 pools, tennis, gym and much more. Walk to the beach & restaurants (Joes, Smith & W, Pink, Milos). TENANT OCCUPIED THROUGH AUG/14/19. FULLY RENOVATED! 2 Bedrooms 2 Baths Split Bedroom Floor Plan on High Floor. Marble Floors Throughout, Hurricane Impact Windows & Electric Shades In Every Room. Modern Kitchen with White Quartz Countertops, Semi-Gloss Cabinetry & Stainless Steel Appliances. Beautifully Renovated Bathrooms with White Quartz Countertops and Marble Showers. This is One of Only Six Units In The 01 Line That Has an Extended Balcony and Floor to Ceiling Windows in Living Room. Unobstructed Views of Government Cut, Fisher Island, South Pointe Park and the Miami skyline. Full Service Bldg. with 2 pools, Lighted Tennis Courts, 24 Hr Gym. Easy to Show! Could Be Sold Furnished. 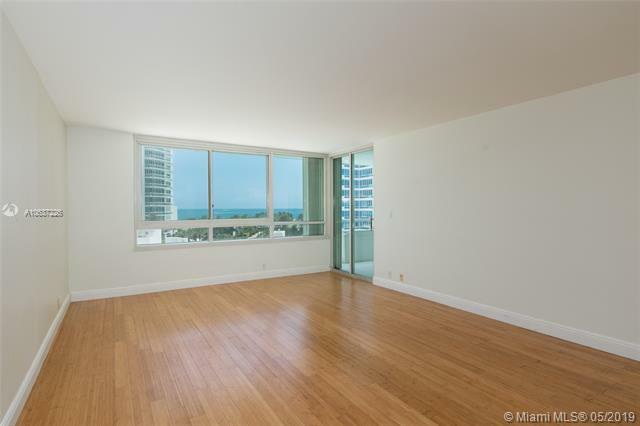 Totally new, high-end gut renovation 2 bedroom corner unit with gorgeous sunsets and panoramic views of Biscayne Bay,Downtown Miami,Fisher Island & Miami Beach. Custom designed boasting luxury features including floor-to-ceiling impact windows w/ electric shades,white Porcelanosa tile throughout unit and 40 wrap-around balcony;bathrooms with Madeli vanities,Toto&Whirlpool tub;Thermador SS appliances in kitchen;Custom designed Georgio Ferrera Italian closets;new mechanicals,central AC & water heater. Renovated including impact doors and windows. Corner unit with wrap balcony with views of ocean, Govt Cut and South Beach. 40 x 40white glass marble floors throughout Open custom kitchen features Miele. Sub Zero and Fisher Paykel appliances. Unit has been reconfigured from a 3 bedroom to a large 2 bedroom/2 baths. Master suite has customs built in closet and large en suite bath with separate tub and shower. South of Fifth location within walking distance to restaurants, shopping and beach. Spacious and bright with amazing beach and city views. This three bedroom has been smartly converted to a roomy 2 bed/2.5 bath. Every room has incredible views, including the open kitchen. The NE corner 10 line with a wraparound terrace is one of the most popular lines in the bldg. Full service, full amenity resort style building with 2 pools, lighted tennis courts, professional 24 hr. gym, business center, media center, enclosed dog park, concierge, security, valet and on-site management. Enjoy the enviable South of 5th lifestyle surrounded by the Beach, South Pointe Park, Marina and some of the best restaurants, shops, night spots on Miami Beach. Dont miss this opportunity!. Apartment needs work.